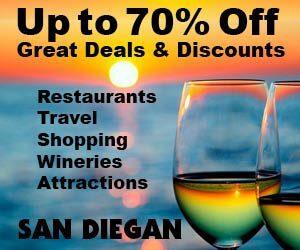 Posted May 31st, 2017 by marcos & filed under Central San Diego, Children's Events, Coupons, Event Vendors, Events, Family Events, International Museums, Kids Attractions, Major Attractions, Neighborhood Events, Neighborhoods and Suburbs, Point Loma, Point Loma Banquets & Catering, Point Loma Breakfast, Point Loma Events, Point Loma Museums, Point Loma Party Venues, Point Loma Shopping, Rehearsal Dinners. Posted January 1st, 2011 by Barry Berndes & filed under Bridal Fashions, Event Vendors, Flowers, Hair & Styling, Health & Beauty, Invitations, Lighting & Decor, Limousine Services, Music & Entertainment, Party Rentals, Photographers, Rings and Jewelry, Services, Videographers, Wedding Planners. Posted August 21st, 2009 by Barry Berndes & filed under Banquets and Catering, Catering, Event Vendors, Mexican. Posted May 13th, 2009 by Barry Berndes & filed under Event Vendors, Party Rentals, San Diego, Services. 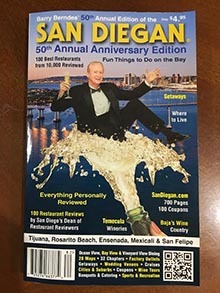 Posted June 20th, 2008 by Barry Berndes & filed under Event Vendors, San Diego.